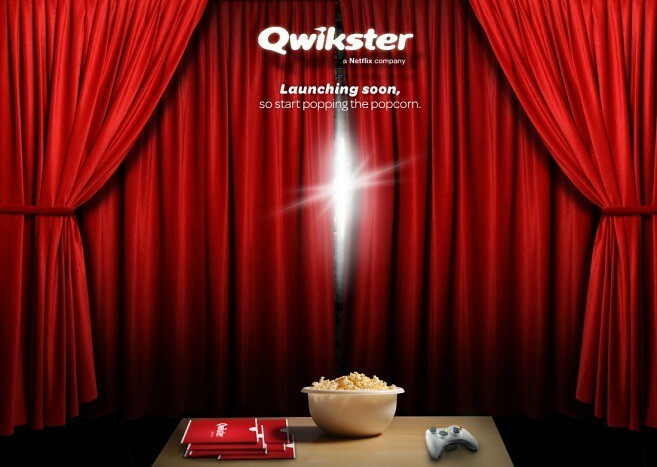 Some interesting news from Netflix this morning: They are spinning off their by mail group, which will also include video games and giving it a new name ‘Qwikster’. While the video below and the announcement blog post set a conciliatory tone for the way the recent changes (price hikes) happened, those changes are still in place and will continue going forward. In fact, it sounds like Netflix is set to spin off its old mailing business in the future even though in-house Qwikster now sells game rentals as well as movies and TV shows. The future of video and gaming is clearly streaming and it appears that Netflix doesn’t want to be associated with that entity. Apple, for what it is worth, has been shunning optical for years, refusing to put Blu-ray optical discs in its Macs or Apple TV products and instead pushing the streaming of media.